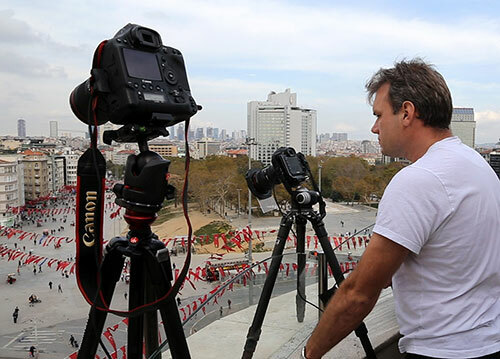 Geoff Tompkinson | Our Timelapse & Hyperlapse workshop Istanbul 2014 was a great success! 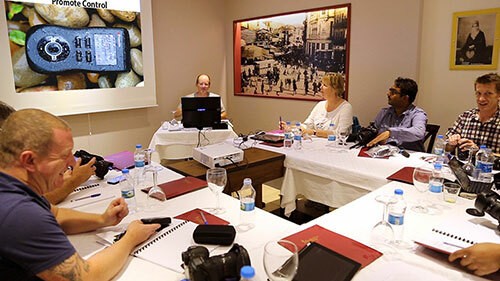 Our Timelapse & Hyperlapse workshop Istanbul 2014 was a great success! We had attendees from Germany, UK, Qatar, Ireland, and Australia. Age range from 20’s to late 50’s and experience levels from beginner to seasoned professional. The whole group gelled really well and lots of new friendships were forged. A presentation box of local Turkish delight was given on the first evening as a reward for the one who had flown the farthest to attend – in this case all the way from Sydney Australia to Istanbul. Luckily the weather held well for the whole week, despite daily forecasts for rain. This threatening rain provided dramatic, and often fast moving, clouds as a backdrop to our day to night sequences – always much more interesting than a clear sky. The days started with breakfast at 7.30am and straight into the classroom sessions for 8.30. 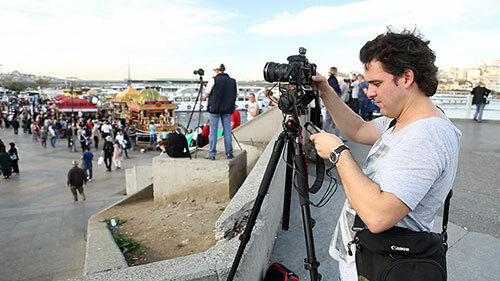 As this workshop covers everything from the basic principles of the moving image and how it is captured and presented – all the way to shooting and post producing complex day to night hyperlapse sequences – it’s pretty full-on! We generally worked through the classroom stuff – a mix of live presentation and video sequences – until around midday with one 15min break for coffee and biscuits. 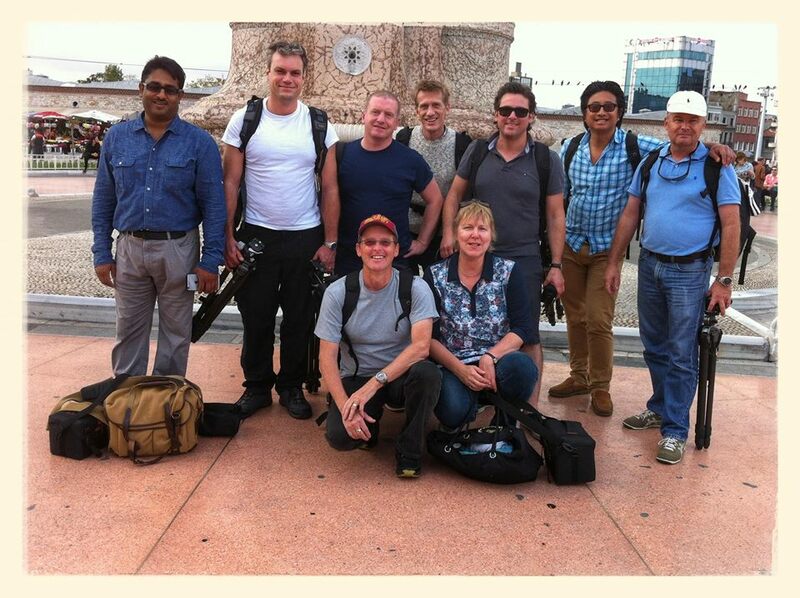 After lunch we all met in the Hotel reception kitted out for that days shooting. We normally worked one location during the afternoon and moved on to a different one for the day to night transitions. First day was introducing the guys to creative use of shutter speed in lock-down timelapse situations and use of heavy ND filters. This session was covered down on the crowded Eminonue waterfront . As the week progressed we worked through all aspects of timelapse and hyperlapse in the classroom and put everything into practice out in the field in a range of locations around the old quarter of the city. 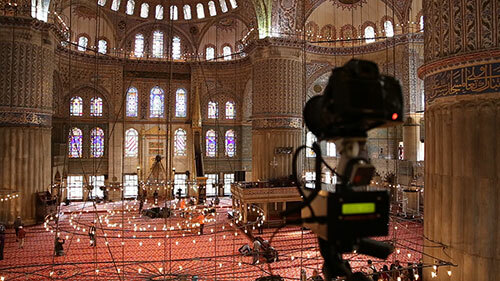 We had special shooting access to the upper interior balcony of the blue mosque, the interior of the Haghia Sophia and several terrace locations. Much of this was pre-arranged by our excellent guide Mr. Ali Tamer Urum – with whom we have worked many times in the past. 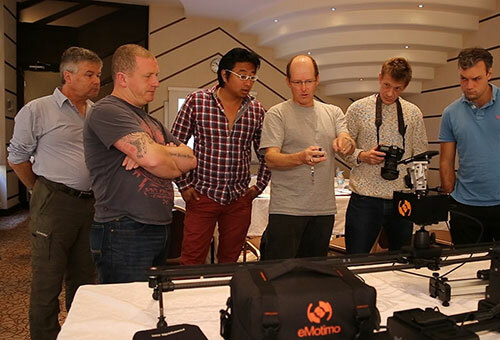 The workshop is supported with equipment and discounts for attendees by Promote Control, eMotimo, Rhino Camera Gear and Power Traveller batteries. All these items of equipment were covered in detail in the classroom sessions and used extensively on the shoots. One of the things we cover in great detail on this course is the use of the wonderful Promote Control as a bulb ramping (often called ‘bramping’) device to control day to night sequences. After the shooting sessions were complete and Liz and I retired to the Hotel to regroup for the next day – the guys one the course invented their own term for their evening activities in the City – BEER BRAMPING. 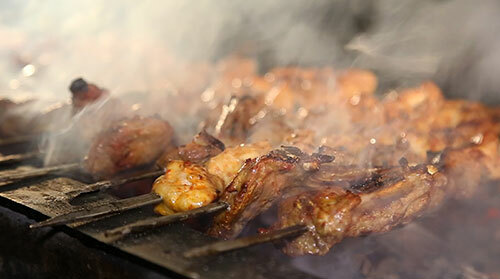 We closed off the workshop with a great meal in one of our favourite restaurants in Istanbul – the Khorasani in the Sultanahmet area. All the guys get 6-months on-line access to the After Effects Post Production videos as well as membership of a closed group on Facebook where all workshop attendees can show work, discuss problems and help each other – as well as getting the occasional input from myself. I will be holding follow-on workshops at our lakeside location in Austria where all former workshop attendees can come and cover more advanced After Effects post production techniques as well as ironing out any problems they might be experiencing thus far.